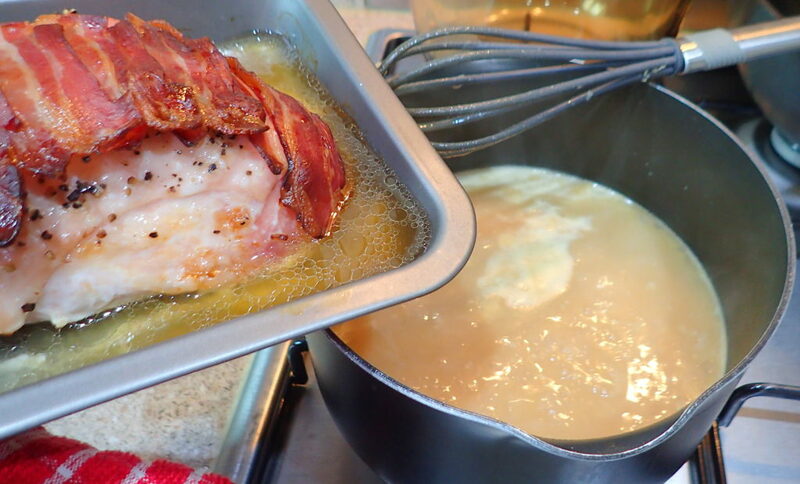 White Wine Chicken/Turkey Gravy. 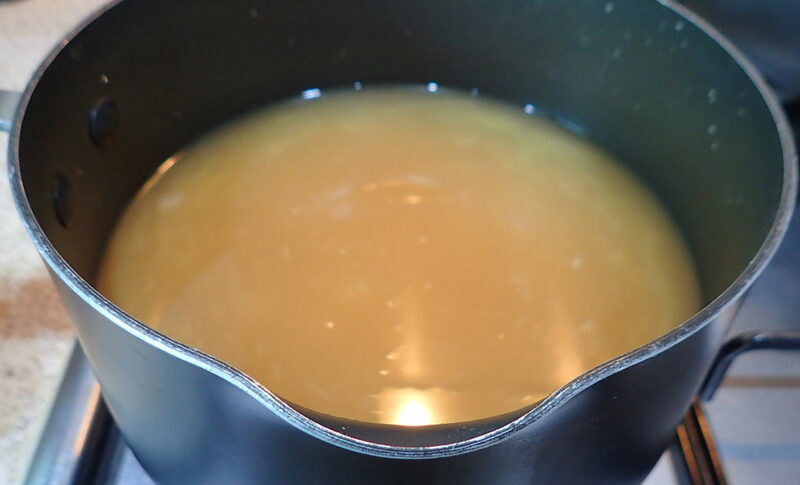 One the most important thing that ties a dish together is the sauce, gravy or jus. In my home there is never enough gravy. Everyone fights for it barred me. If I turn my back my husband might drink it! When I am not lazy I will take the time to make a nice gravy. 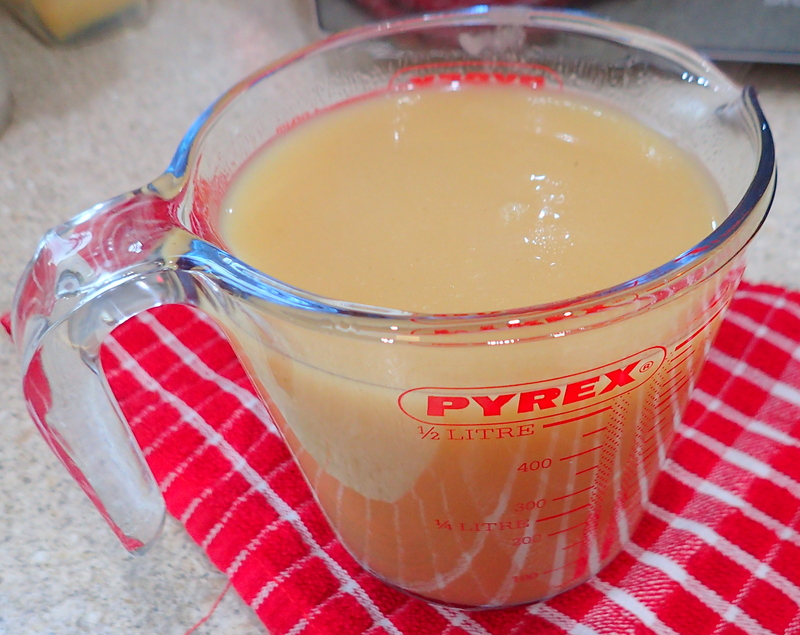 If I am lazy then I just use the fats from the roast protein, mix with flour and then chicken stock. That is the easiest gravy. 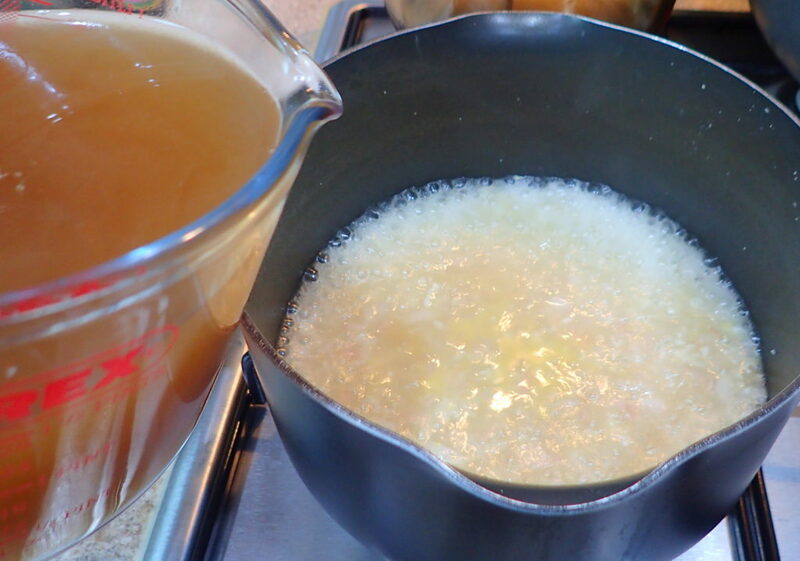 When I am extremely hardworking I will make a fresh chicken stock by browning chopped chicken wings with onions and boiling them in water to make a nice stock. 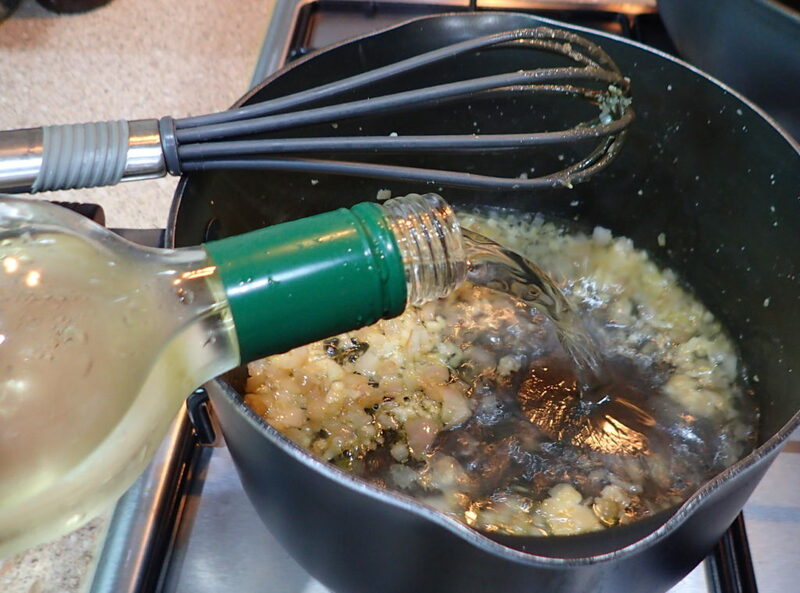 However if I have the time I will make a white wine gravy. 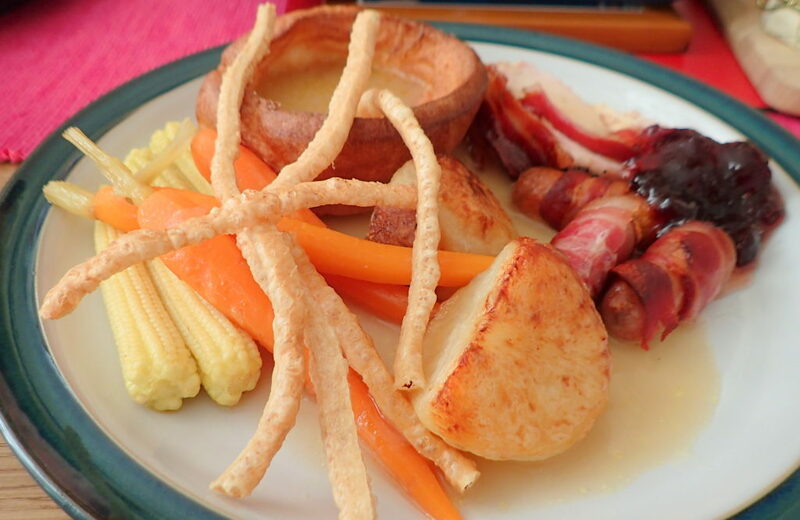 Today daughter is not working and she requested for this as there’s half a bottle of white wine left so white wine gravy it is for today roast turkey lunch. You just cannot have a roast dinner without gravy. 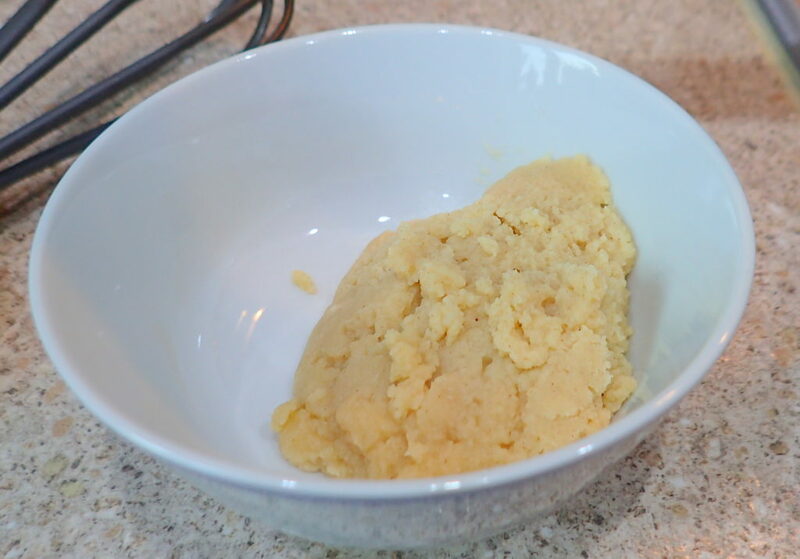 Mixing cornflour with chicken cube and water is NOT gravy. 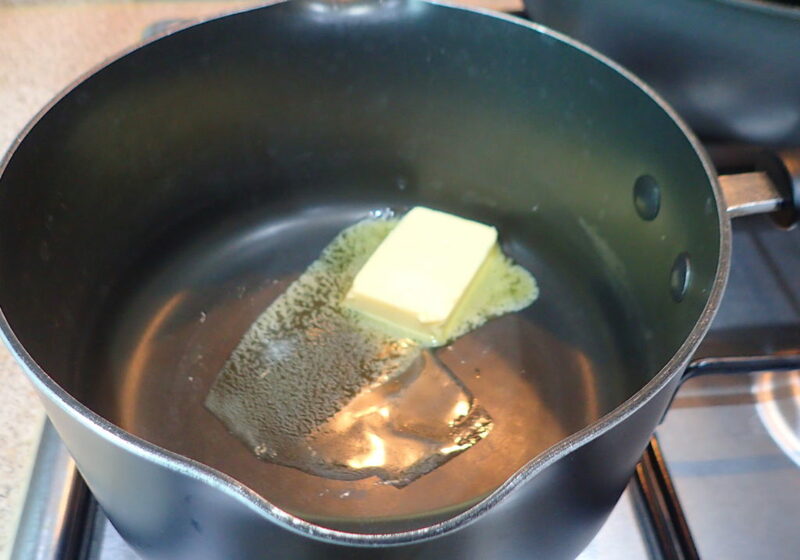 Melt butter in a saucepan. Add in the shallots and garlic. Fry till translucent but not brown. Add in the white wine and reduce to half by boiling. 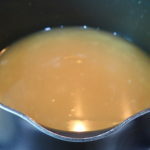 Add in the stock and reduce to half by boiling. 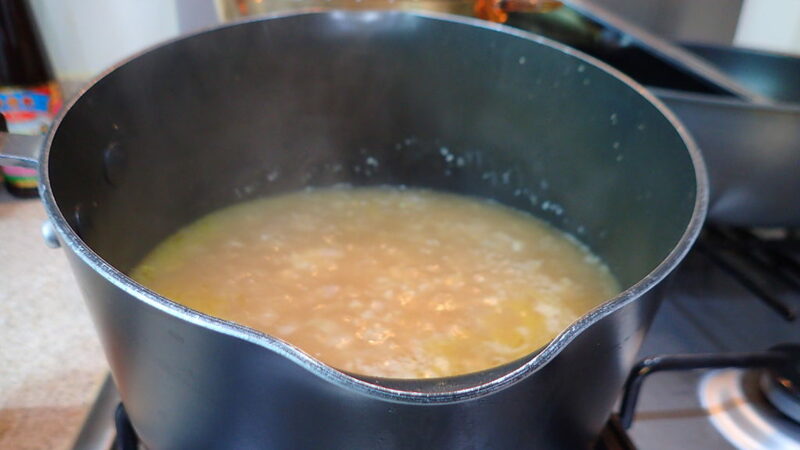 After the sauce is reduced then add in the roux to thicken. Taste and season if you wish. 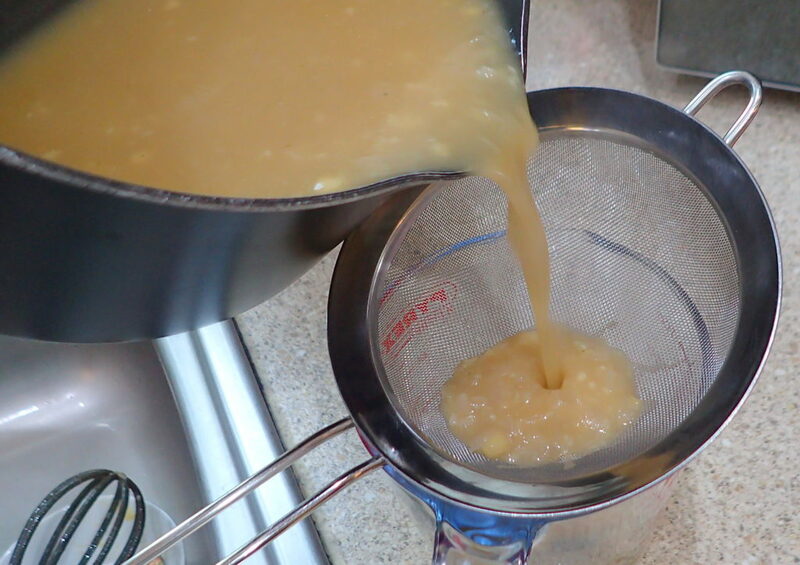 You can sieve the gravy so that it is smooth. My boy lollipop do not like the bits. However it is entirely up to you. 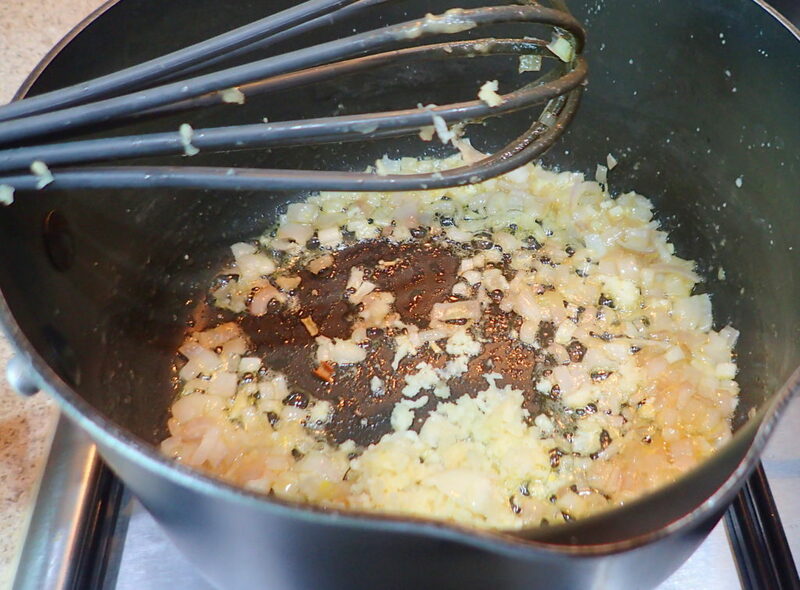 Add in the shallots & garlic. Fry till translucent but not brown.